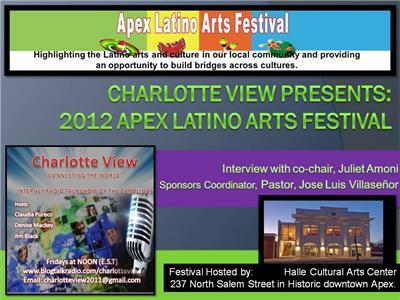 Charlotte View interview with Apex Latino Festival committee members: Co-Chair & Art Exhibit Coordinator, Juliet Torrellas and Sponsor Coordinator & Pastor, Jose Luis Villaseñor. Gallery Reception on May 11 (6-8 pm) to meet the artists, enjoy Heavy hor d'oeuvres and beverages sponsored by local restaurants and have the opportunity to bid on original art work as part of the evening’s Silent Auction (all proceeds to benefit Arts for Life). 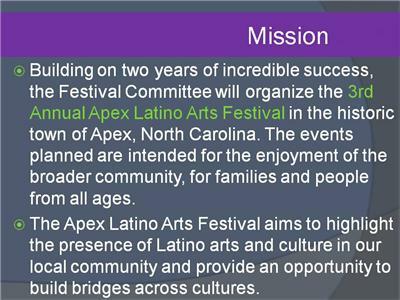 This reception will mark the beginning of the festivities that will culminate with the Apex Latino Arts Festival. 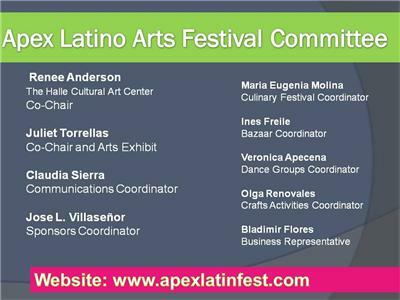 Location: Halle Cultural Arts Center -27 N. Salem St.
Apex Latino Arts Festival (two days June 1 & 2) with the mission to highlight the presence of Latino arts and culture in the community and provide an opportunity to build bridges across cultures. 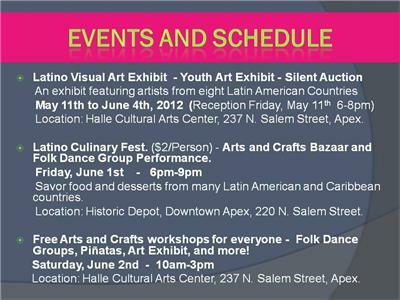 June 1- Latino Culinary Fest and Bazaar 6 pm - 9 pm Tasting of home-made Latin American foods. 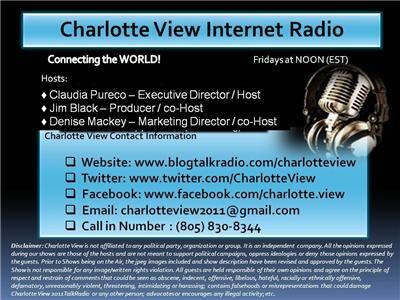 ($2/Ticket) Also: dance performances, music, bazaar and prices. Location: Historic Depot - 220 N. Salem St.
June 2- Crafts, Folk Dance Groups & Piñatas 10 am- 3 pm Day of fun activities for families and everyone. Macramé workshops, jewelry making, woodworking, coloring, piñatas and more! Also: Traditional Dance groups. Location: Halle Cultural Arts Center 237 N. Salem St.